On March 2nd I will be across the Tasman embarking on my biggest and scariest personal running challenge yet, in an event suitably titled “Gone Nuts 101”. 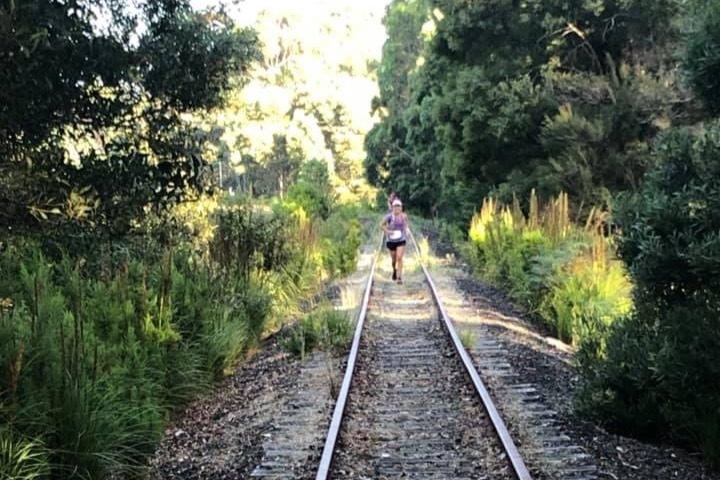 Gone Nuts is an adventure run which will see me traverse from Stanley to Wynyard (North West Tasmania) across rocks, oyster beds, beach, rain forest, and farm land – running a total of 101kms in a day - hopefully without having to navigate for too many hours in the dark! Personal achievement aside the reason I chose this run is to run for someone very close to us - Vienna Savaris – daughter of our good friends Fi and Jonny. When Vienna said I was the coolest Mum of all of us as I was so healthy and fit with all the running that I do, enthusiastically agreed to by her younger brother Luca (wow #fansforlife), I wanted to set myself a big challenge in Vienna’s honour and help raise some funds (as well as give their friends an opportunity to help) and support a family who are going through a very challenging and difficult period in their lives right now. In June 2018 Vienna was diagnosed with a rare form of lymphoma called Anaplastic Large Cell Lymphoma (ALCL) in June 2018. 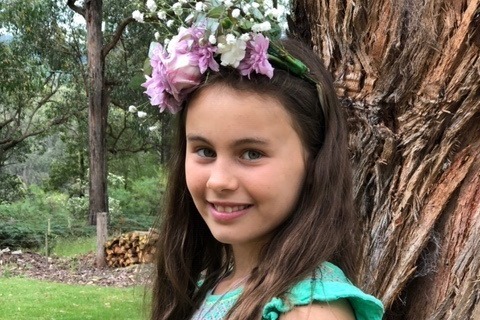 Prior to her illness Vienna was a happy and healthy 11 year old who loved netball, gymnastics, reading books and going to school. Following her diagnosis Vienna endured an intensive six rounds of chemotherapy which made her very unwell. She lost her beloved long hair and missed most of her Grade 6 year. 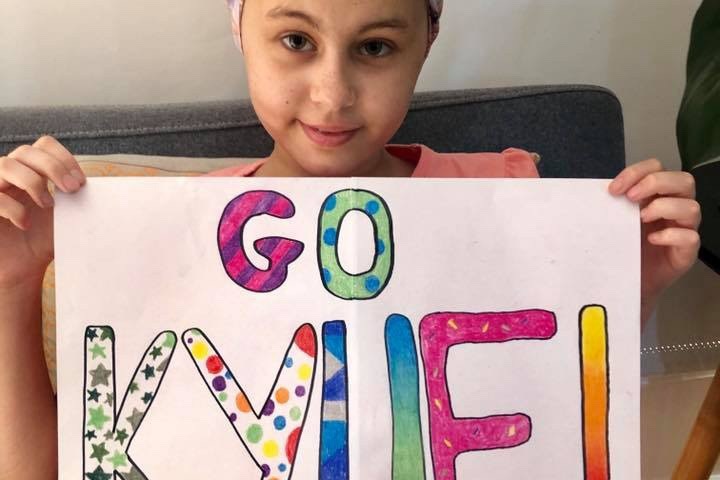 Her family was told while her cancer was aggressive it was also very responsive to treatment and they were relieved when they were told she was in full remission in November 2018 and could head away with us and other families on our annual NSW trip. Sadly this was not to be. Unfortunately her remission was very short lived and she became unwell just six weeks after the initial remission. Following another full round of tests including biopsies and scans Vienna and her family were devastated to learn her ALCL had returned and she had also developed a secondary disease called HLH affecting her bone marrow. She is currently having intensive chemotherapy to try to push her ALCL back into remission again to prepare her for a bone marrow transplant. 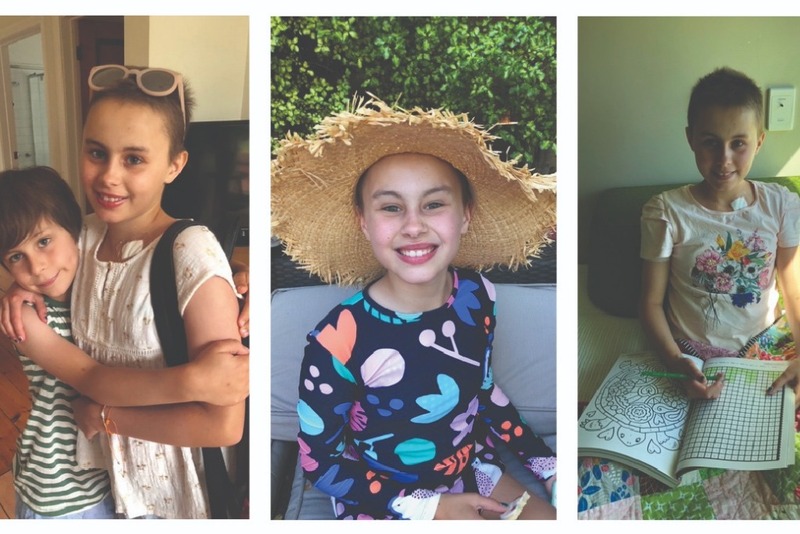 Vienna was due to start year 7 this year, but unfortunately is in hospital fighting infection, and awaiting donor match for her transplant instead. Once she has the transplant she will be hospital for 6 weeks and will be in total isolation for 100 days post-transplant to avoid any infection. There are some special items Vienna would like during this isolation period like a Virtual reality set to see the outside world and a design tablet for artwork to help fill the days. Hopefully with your support we will be able to buy her these things. In addition to Vienna’s illness, her Dad was also recently made redundant from his job so any extra financial help would really be appreciated. All donations go direct to the family. 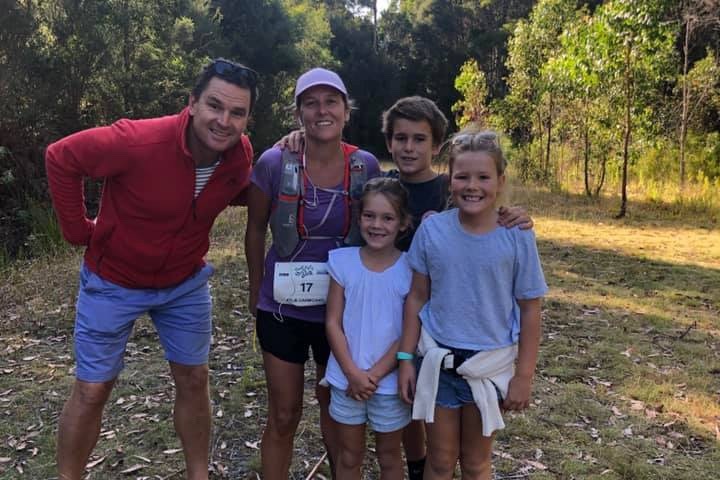 My trusty support team – Tim and the kids – will be coming with me to cheer me on and provide updates, and my good friend Anna from Hobart will be coming up to help crew for me and run with me when things get tough. It’s not going to be easy, but I know that thinking about Vienna and how brave she is and the fight she continues to have will help get me through. With just 6 more sleeps until I tackle Gone Nuts 101k in North West Tasmania and many people asking me about it, as well as more importantly how Vienna is doing, I thought it timely to give a bit of an update…. First of all a big thank you to all of you who have generously donated – we really appreciate it. I know there are quite a few other important causes this time of year, so it makes it extra kind for those of you who have been able to donate. The support has been amazing and unbelievably we have now raised over $30,000. This will help Vienna and her family so much. Unfortunately this latest lot of chemo has made Vienna quite unwell and the challenge has been getting her strong and well enough to continue the process towards having the bone marrow transplant. It is a continuous path of setbacks for Vienna and her family, but finally however they have had some luck come their way, and have found that despite only a 25% chance of a sibling bone marrow match, her brother Luca is actually a match. The doctors were ecstatic upon finding this out because it greatly improves Vienna’s chances of the transplant going well. Brave Luca, who has always had a special bond with Vienna, is really pumped to be able to help his big sister and is embracing the blood tests and surgery prep like a true warrior. Hopefully the transplant should be going ahead mid-late March. I was due to visit hospital this weekend but unfortunately with my household unwell and Vienna having zero immune we could not take the risk. I got to speak to Vienna today though and she is excited to be able to follow the run next weekend with regular updates and facetime, and is working on a playlist for me (it will need to be a long one!!) as well as a few motivating words pre-race day. Many have asked how I am feeling and whether I have trained enough? I am feeling good - no injuries and I have been really strict with my diet and no alcohol (shock horror!) so I am going into this feeling pretty healthy which should help mentally. In terms of my training, I could definitely have done a lot more kms and climbs but as my running mates will attest to - training has never been my strong point I may need to rely on mental strength more than others but I will get through it. The aim will be to take it slow and steady, particularly during the rocky parts to avoid injury, and especially when fatigue sets in. It is difficult to ascertain how long it will take in these kind of events due to the different types of terrain and conditions, and having not done this distance before, but looking at past results etc I am estimating between 16-18 hours. The weather is looking good with a sunny 25degrees, and with a bit of nervous excitement I am looking forward to pushing myself to a new limit and seeing an amazing part of Australia in the process for this special cause. This is not about me getting to the end, it is about helping Vienna, but a number of people have expressed interest in seeing updates so we will post a couple along the way. Thank you again for all of your support and encouragement. And we have just hit $20,000. Thank you so much for all of your generous support and kind words. It is really appreciated.